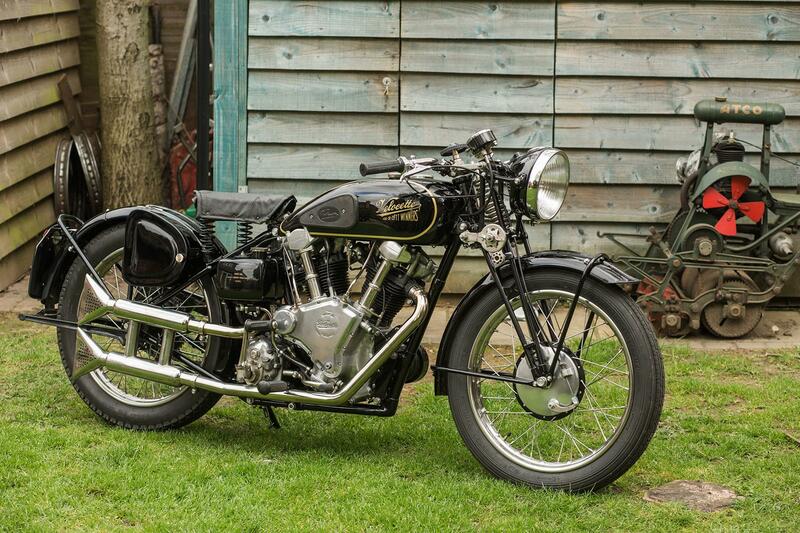 No stranger to creating magical one-off motorbikes often with ‘doubled-up’ engines, Berkshire bike-building genius Allen Millyard has done it again with this fantastic 698cc Velocette V-twin. Created at home in his garage in just eight weeks, and following previous Millyard masterpieces such as his V12 Kawasaki Z2300, five-cylinder Kawasaki KH and six-cylinder RC374 replica (made using two Yamaha FZ250R engines), the bike is Allen’s imagining of what a Velocette V-twin from the 1930s might have been like; if the Birmingham firm had ever made one. And the end result, based around two 1950s singles, looks so good it could easily have come from the pages of a 1930s Velocette catalogue. 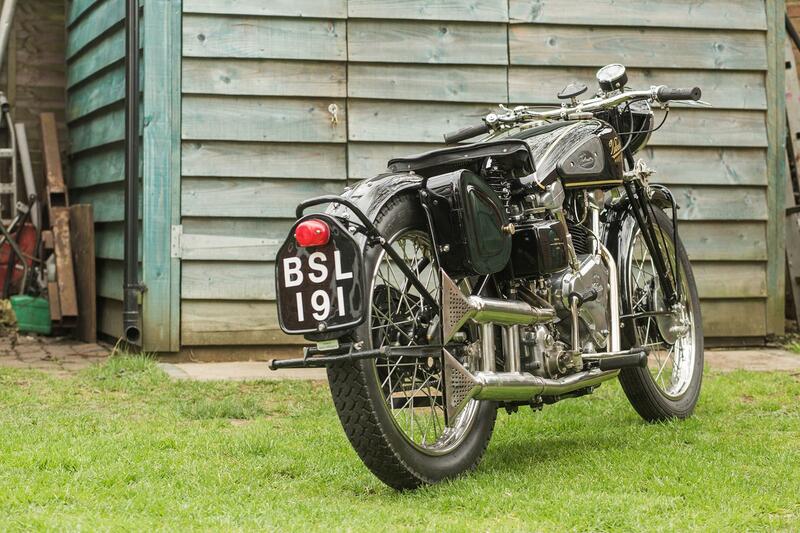 "I like to think of it as the bike Velocette should have made for the 1939 Earls Court show," Allen says. Having first bought the donor bike back in 1979, the inspiration to turn it into something special came at last year’s Stafford Show where he was displaying his Hailwood tribute RC374. "Someone came over and asked ‘what are you going to make next?’," Allen continues. "I was walking around, saw a Velocette and thought ‘I’ve got a broken one at home’ so bought some parts while I was there. That was at the end of October and by Christmas I’d built it up and was riding it around the garden." The star, of course, is the one-off V-twin motor. The front cylinder is from Allen’s original while the rear came from a second, mounted on purpose-built crankcases with the rear cylinder reversed so both inlets are fed by a single carburrettor in the centre. "That caused a problem because the push rods come up the other side, so I didn’t reverse the rocker box, I just remounted it on the head 180 degrees out! I’ve been out riding it and covered over 200 miles in a few days through the Cotswolds. It pulls remarkably well for an old bike and the torque is incredible." If you want to see the machine yourself, Allen is taking it to the Stafford Show in April and the Prescott Bike Festival in June.